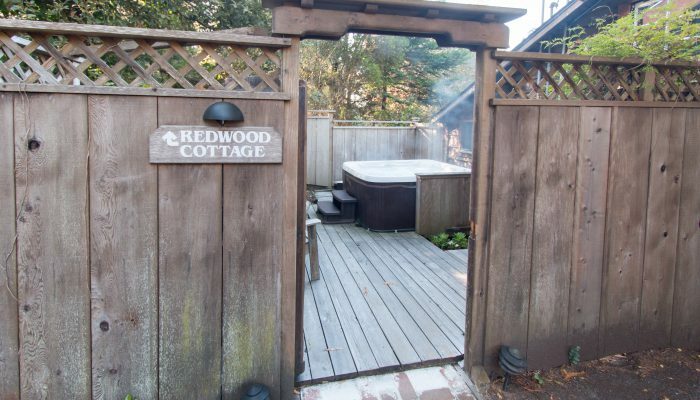 Redwood Cottage is a unique, delightful and romantic getaway located amid large Redwood trees just 0.75 miles east of our little village. 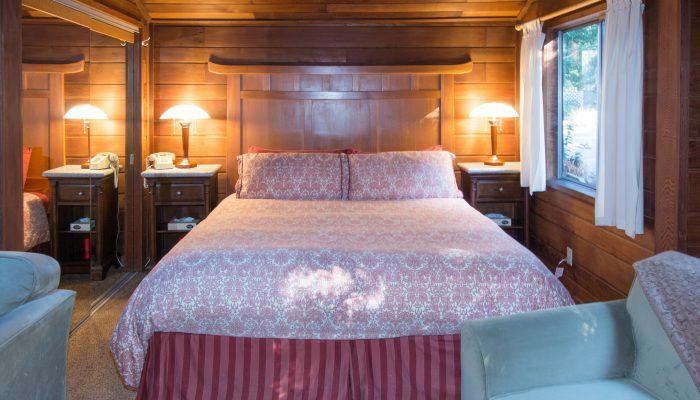 It features a clear redwood interior, a king-sized bed with luxury linens and a cozy sleeping loft just perfect for 2 children. 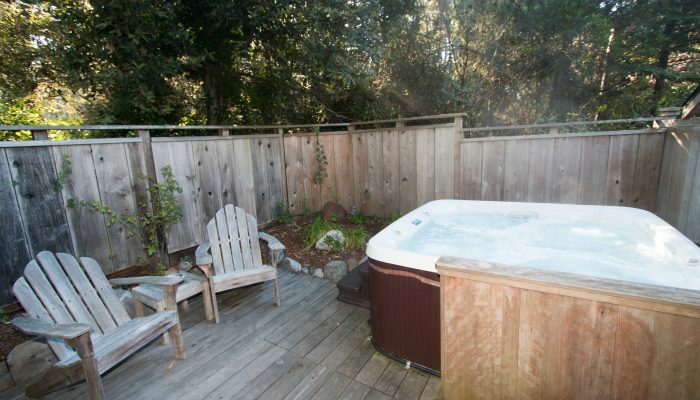 This charming cottage has a private sun deck, a private hot-tub, and a complete kitchen with clear Redwood slab countertops, and large skylights to give warmth and light in the sitting and dining areas. The sleeping area upstairs consists of a queen-sized futon and — kids are thrilled by this! — can be reached with a step ladder. 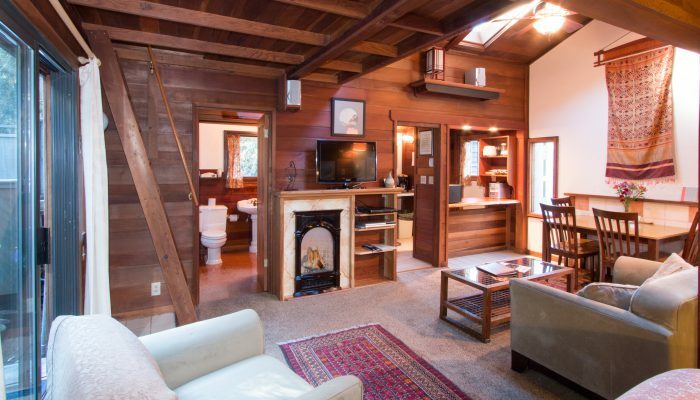 Finally, the cottage features a gas fireplace, DirectTV, a stereo, Wi-Fi, a gas barbeque, convenient private parking and comes stocked with Organic Big River Coffee and Teas. 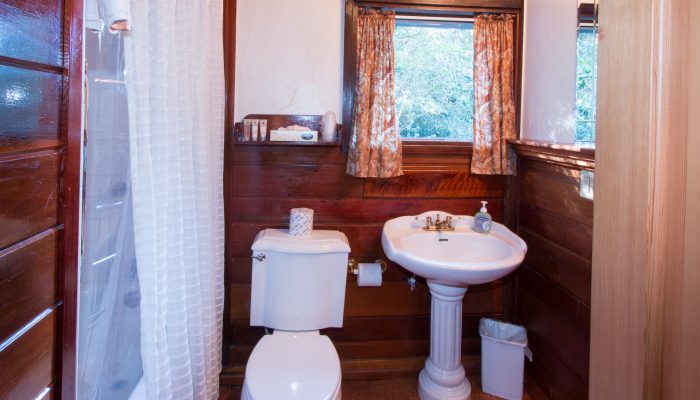 The word is out on this little gem; it is frequently sold out.